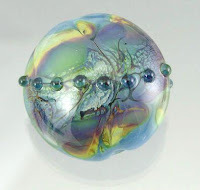 I found the most wonderful glass bead artist! OK, she's my sister, Melissa Blanton, but her beads are great. 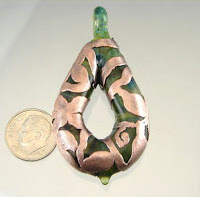 You can find her work by searching eBay for "lmg lampwork" (the lmg is for Laurel Mountain Glass). Here are some samples. I had no idea that Melissa was your sister! 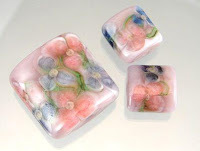 I've bought beads from her several times, and they are absolutely amazingly gorgeous. I guess it runs in the family.